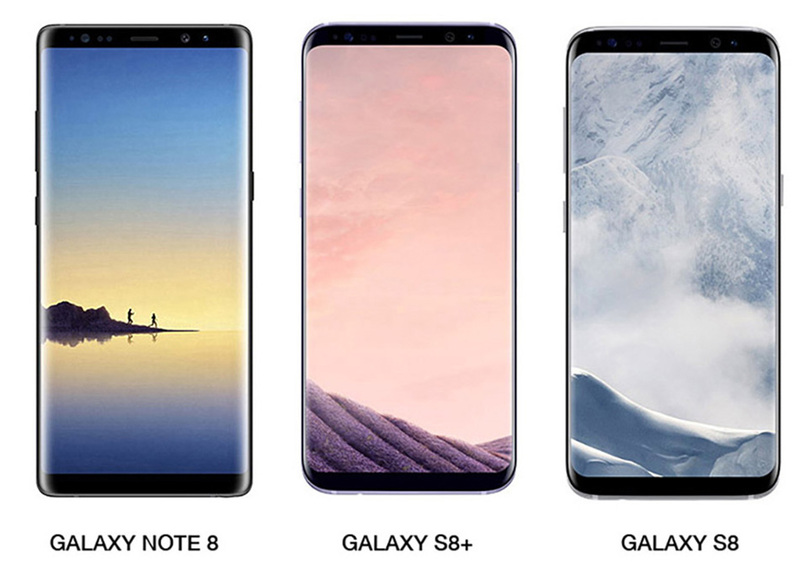 Thanks to leaked press images of the Galaxy Note 8, we get to do a simple side-by-side comparison of it to the Galaxy S8+ and Galaxy S8 before the phone is ever announced. Now, I should point out that these images are by no means to scale and are simply resized to fit nicely together to give us a feel for the differences. Still, they tell us a good bit of the story that will be revealed on August 23 in NYC. As we noted yesterday, the Galaxy Note 8 is very similar in styling to the Galaxy S8 line if not a bit more squarish. If we look at the front (above), the top and bottom are much flatter with less rounding at the corners and that includes the lack of extreme rounding in the display corners that we first saw on the S8 and S8+. The Note 8 still has that rounding, it’s just not as pronounced. The top and bottom bezels are certainly thin as well, plus they each have the same censor and camera layout, which should mean the iris scanner will return. As for the backside (below), this is where we see additional differences. Obviously, the Note 8 will sport that dual camera setup with the lenses shifting out of the center-upper of the phone. Those, along with a fingerprint reader, will sandwich the flash and heartrate monitor in a single black box, rather than separate cutouts like on the S8. 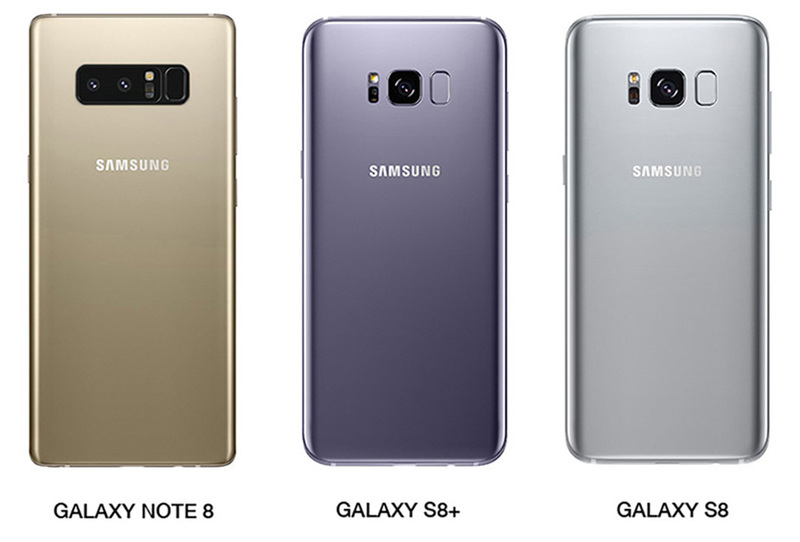 I’d point out that the flatness to the Note 8 when compared to the S8 line is very noticeable from the back. On the sides, you can see where the buttons match-up, and yes, that includes a Bixby button just below the volume rocker. Finally, if you head towards the bottom, that’s where you’ll see the bump for the S Pen on the Note 8 (bottom left) followed by the Type-C port and headphone jack. I’m guessing the speaker sits in between the S Pen and Type-C port like it did on the Note 7. If not, I’m not sure where else it would go. Previous specs rumors suggested the Galaxy Note 8 will sport a 6.3-inch display (S8+ has a 6.2-inch), Snapdragon 835 processor, 3300mAh battery, and 6GB RAM.